COME AND CELEBRATE WITH NOLAN OILS & PETER HICKMAN! 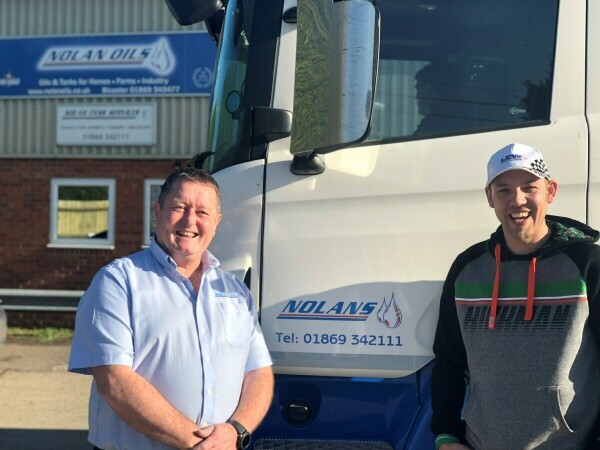 Since 2009 Nolan Oils have sponsored International Road and Circuit Racer Peter Hickman. In 2018 'Hicky' set the outright lap record around the infamous Isle of Man TT circuit, taking his maiden Senior TT win and making him the fastest road racer on earth. He went on to take wins at every major International Road Race of the season, ending the year with a third win at Macau GP before bringing home the Robert Holden Memorial Trophy from New Zealand. Ahead of the 2019 Bennett's British Superbike Championship opening round at Silverstone, we invite you to mark our decade of success with Peter Hickman. The celebratory evening will consist of a buffet dinner, Q&A sessions and Hicky will even be bringing a selection of his racing winning bikes! Spaces are limited so get in touch today! Venue address will be confirmed upon successful purchase of tickets.